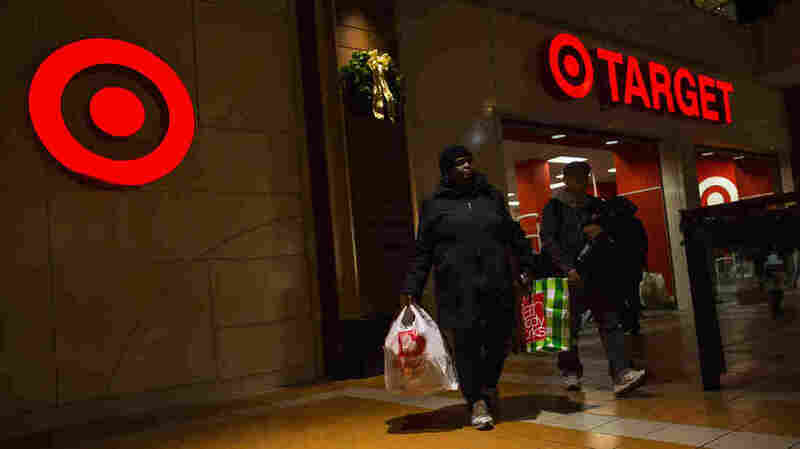 Target: Encrypted Data Were Taken, But Not The Key To Unlock : The Two-Way Though 40 million credit and debt accounts may have been affected, Target says the hackers should not be able to decrypt sensitive information they obtained. The scene outside a Target store in Brooklyn on Black Friday, Nov. 29. Though hackers did obtain "strongly encrypted PIN data" when they got into Target's information systems, the retailer said Friday that sensitive information from customers' debit cards should not be at risk. "When a guest uses a debit card in our stores and enters a PIN, the PIN is encrypted at the keypad with what is known as Triple DES. Triple DES encryption is a highly secure encryption standard used broadly throughout the U.S.
"Target does not have access to nor does it store the encryption key within our system. The PIN information is encrypted within Target's systems and can only be decrypted when it is received by our external, independent payment processor. What this means is that the 'key' necessary to decrypt that data has never existed within Target's system and could not have been taken during this incident." So the hackers have data that they can't open up, Target says.